'END OF INNOCENCE' part two! The epic battle between the Super Sons and Kid Amazo crashes to a close, and Superboy and Robin must decide how to pick up the pieces of the disastrous Amazo Project. 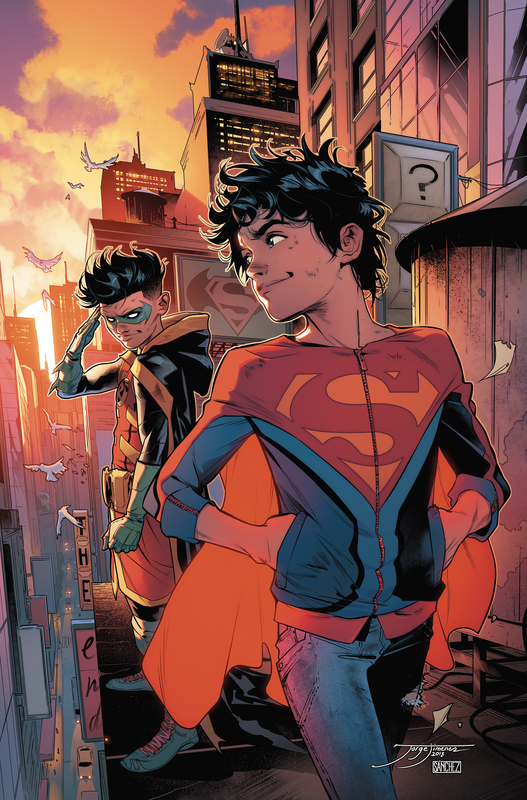 The Super Sons face tomorrow in this latest chapter of their journey together!